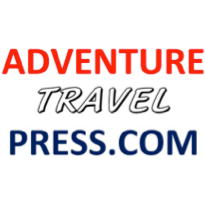 At AdventureTravelPress.com, we publish books about adventure travel and customize them for the trade to use with their clients as favors or low-cost information resources. Customizing includes cover logos or title edits, content advertising inside the book body for a run of books purchased at a discount, and forewords or other content suggestions to add or delete text. In addition, 12 “singles” on specific countries (eBooks and paper on Borneo, Kenya, Ethiopia, Bali, Burma, Ecuador, India, Morocco, Panama, China, Sulawesi, and Vietnam) and a fascinating classic adventure travel book will be published by year end. “Walking to Woot” will recount the adventure of the author, Jackie Chase, trekking with her just-turned-14 blond daughter for a month in New Guinea, living among stone-age warriors most of whom had never seen a white face. The book’s “voice” and the growth of a relationship and personal courage make this adventure a page turner and a photographic treasure for all who dream of transforming from a parent of 4 to an explorer willing to document a vanishing primitive culture offering lessons of life to advanced civilizations. While no books are currently available in languages other than English, arrangements can be made for translation to other languages, and English distribution is now world-wide.